New to iPad? Time to Get Started! If you’re just taking your first steps with a tablet computer there are plenty of things that you will need to know, from learning how to connect to the web to downloading and launching apps! Ultimately, however, it depends on what you expect to gain from your iPad, and this is something that will depend on your reason for buying it. If you’re a fan of games then you will be able to find plenty of suitable choices in the app store; anyone who has purchased an iPad to improve productivity will also find that there are plenty of options for them. Regardless of your number one reason for buying an iPad, in many cases Facebook will factor high in your list of requirements. You’ve timed it just right – the official iPad Facebook app has recently been released! The FaceBook iPad App Has Arrived! Plenty of other apps are available for the iPad that don’t involve gaming or social networking, however. You might, for instance, be interested in the possibilities of this excellent piece of hardware in an education or home schooling setting. Like a high-tech update of the old classroom slate of the 19th century, the iPad can be used by students to create and share their work. Alternatively, you might have more entertainment-based needs. 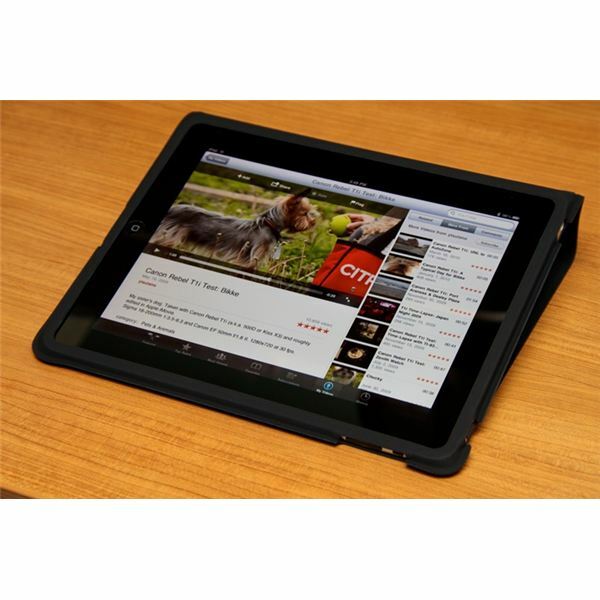 The iPad has the ability to playback many different types of media including high definition movies, so why not take advantage of the wide selection of free sites that provide movies for you to download or stream to your tablet? One of the most popular uses for an iPad 2 tablet computer is to manage photos. The device comes with front and rear mounted cameras, both of which can be used for snapping photos and recording videos. How you use photos on your iPad depends on what want to achieve. You might be happy to view them in photo albums, for instance, or might prefer to copy them to your PC or Mac. Alternatively you might not have any interest in using your iPad for photos, but get regularly frustrated when iPhoto opens on your Mac upon connecting your tablet! Owners of first generation iPads can’t take photos, but they can copy images from a digital camera via the camera connection kit. These pictures can then be viewed or edited. There are two different types of iPad, each with different ways of getting online. The first is the cheaper, Wi-Fi only version. This device allows you to connect to wireless networks wherever they are available (including those provided by tethering: if you don't mind eating your phone's battery you can use it's 3G service and Bluetooth tether to your iPad) and then enjoy the Internet in whatever way you like. The other model features Wi-Fi and mobile Internet, and requires a contract with a mobile phone network provider. These iPads are equipped with smaller than usual SIM cards, meaning that you can’t simply swap a standard SIM card into the tablet to use your existing mobile Internet contract! A key selling point for many iPad owners is the ability to perform general office productivity tasks. For instance, you can send email from an iPad, create and edit documents and even find alternatives to Microsoft Excel (very important if you work with numbers). Most crucially, it is possible to print from your iPad using AirPrint and the right printer. As productivity enhancements go, this is great – if you’ve already created a document or spreadsheet on your tablet you don’t want to spend time connecting it to your computer and syncing if the option to print directly from the tablet is there! As you probably know, reading books on your iPad is possible via the iBooks app, but what if this isn’t available in your part of the world? iPads make a great alternative to the Amazon Kindle, offering a slightly bigger screen and better results for comics and other non-text reading, and there are many different eBook reading apps available. Better still, there are several great places to find eBooks, and the list is so long that you should be able to comfortably find reading matter that suits you without paying a penny! Using the iPad as a Book Reader: An Alternative to the Kindle? From time to time you will run into problems on your iPad, or find it difficult to establish a solution that you might expect to be resolved by simply installing an app. If this last issue occurs, you should probably investigate the options for jailbreaking your iPad, as very often apps that require additional permissions can help you fix problems. You can do pretty much anything on an iPad that you can do with a desktop computer. This includes using Skype, watching YouTube, connecting via remote desktop or even connecting a mouse for improved interfacing with the device. Can the iPad Run a Remote Desktop?